Our demonstration website will give you an idea of the options available. Please click here to view it. The link will open in a new window. 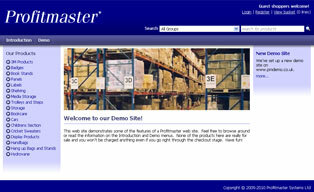 You can change the look and feel of the demonstration website by using the theme switcher at the bottom of any page.